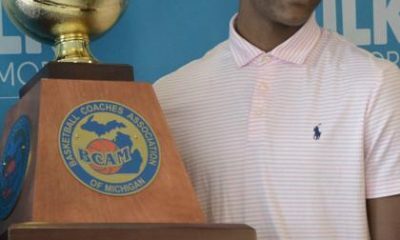 Bank Hoops 2019 state MVP Carlos Johnson of Benton Harbor. 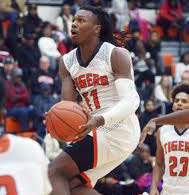 MVP Carlos Johnson 6-6 Jr Benton Harbor: “Scooby” became a household name as a sophomore when he hit a three-pointer to give Benton Harbor its first state tile in a half century. 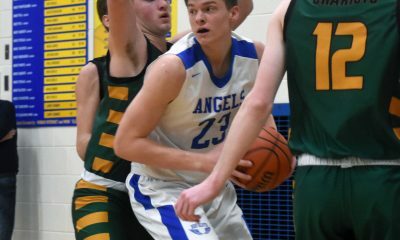 As a junior he was a dominant two-way forward two earned the two golden college offers for a Michigan high school player, from U-M and MSU. 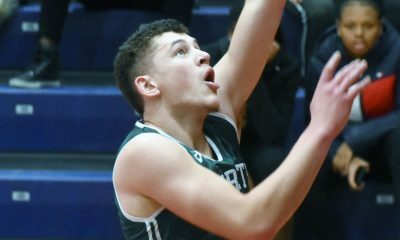 Johnson averaged 26 points and 13 rebounds, including a 38-point performance in a neutral court win over eventual state champion Ypsilanti Lincoln. Emoni Bates 6-8 Fr Ypsilanti Lincoln: He simply had the best freshman season of any Michigan high school player in memory. 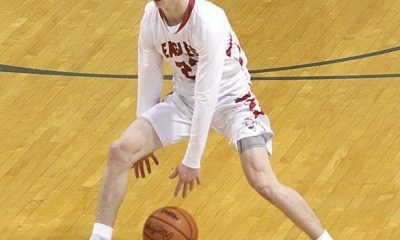 Bates led Lincoln to the school’s first-ever state championship, averaging 29.2 points and 10.1 rebounds per game. 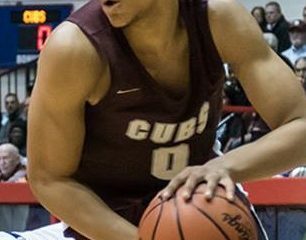 Daniel Friday 6-4 Sr Detroit U-D Jesuit: He’s Bank Hoops’ Division 1 MVP and the leading scorer on the Cubs’ state runner-up team. Friday, who will play for Brown, averaged 17 points, 6 rebounds, 3.5 assists, 1.5 blocks and 1.2 steals per game. 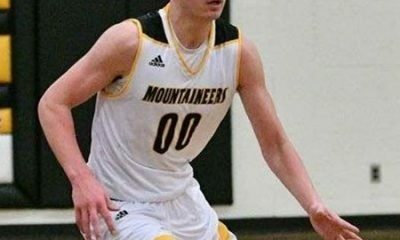 Drew Lowder 5-11 Sr Ann Arbor Pioneer: One of the most entertaining guards in the state, with substance to his game to back it up. Lowder, who signed with Holy Cross, averaged 20 points on 50-percent shooting and 4 assists per game. 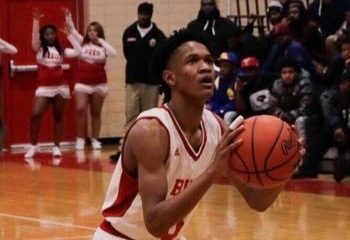 Jalen Terry 5-11 Jr Flint Beecher: As has largely been the case since Mateen Cleaves chose MSU nearly a quarter century a go, the best players in Michigan go to Michigan State. So it is with Terry, the Bank Hoops’ Division 3 MVP and No. 1 ranked 2020 recruit who committed to the Spartans. He averaged 22.5 points, 5.7 assists, 7 rebounds and 3.6 steals per game. 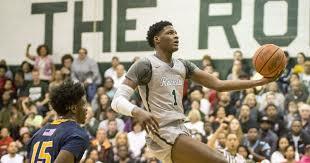 Romeo Weems 6-7 Sr New Haven: A runaway winner for Mr. Basketball, Weems, who will play at DePaul, averaged 27.5 points, 11.7 rebounds, 3.7 assists, 2.2 blocks and 4.1 steals per game. He was Bank Hoops’ Division 2 MVP.